This Easter bunny cake is an easy and festive dessert. All you need is a box of white cake mix, a container of frosting, coconut, and some colorful candy. Two 9 inch round cakes are cut into various shapes to resemble a rabbit. The cake is then iced with white frosting and covered in coconut. Different shaped candies decorate the cake to give the dessert some character. 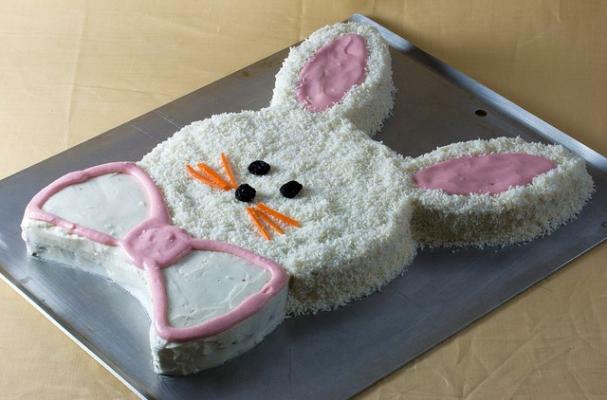 This Easter bunny cake would be a great baking project to do with the kids. Watch the video below are learn how to make this cake at home.